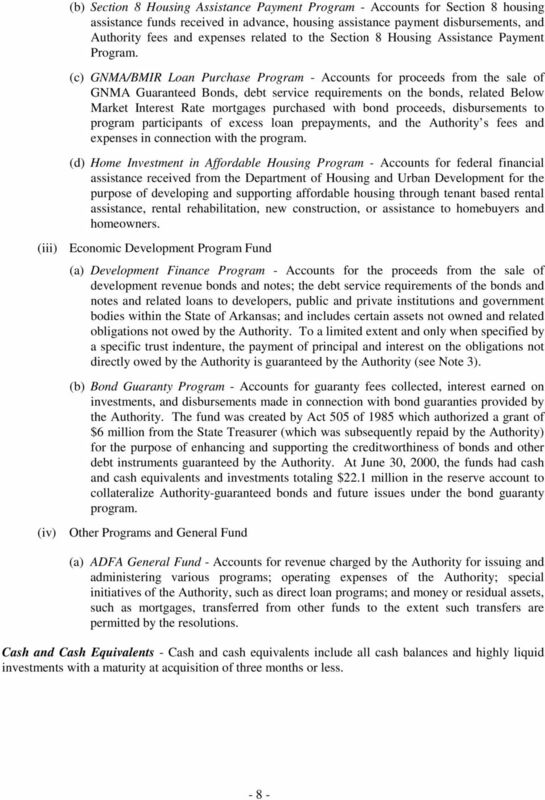 Download "Arkansas Development Finance Authority, a Component Unit of the State of Arkansas"
3 INDEPENDENT AUDITORS REPORT The Board of Directors of Arkansas Development Finance Authority: We have audited the accompanying combined balance sheet of Arkansas Development Finance Authority, a Component Unit of the State of Arkansas (the Authority ), as of June 30, 2000, and the related combined statements of revenues, expenses, and changes in retained earnings and of cash flows for the year then ended. 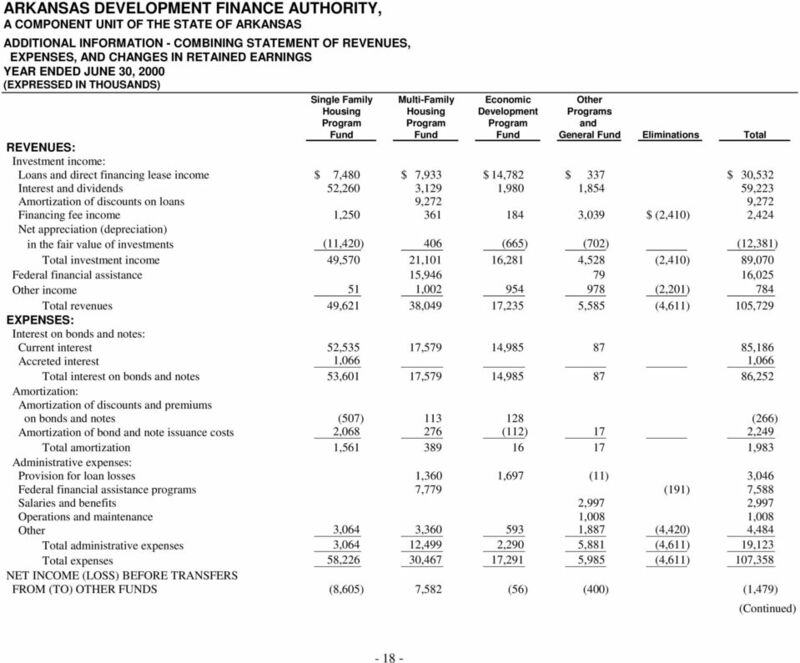 These combined financial statements are the responsibility of the management of the Authority. 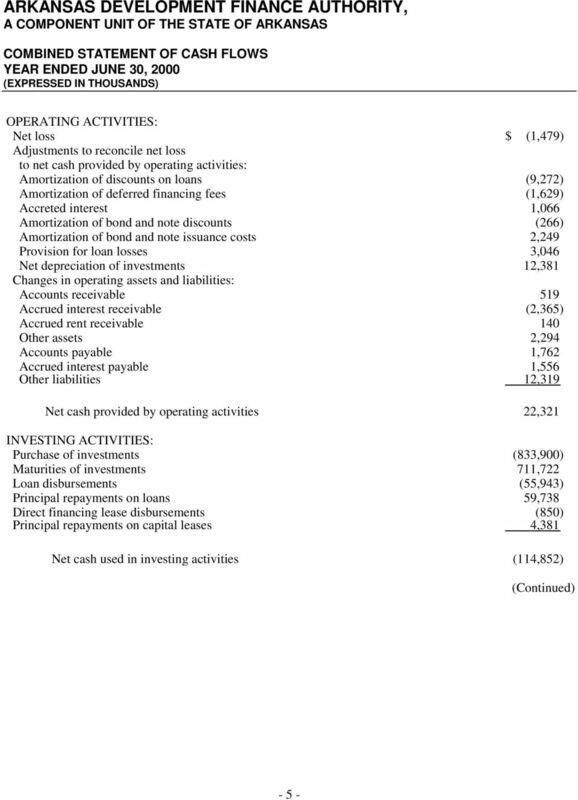 Our responsibility is to express an opinion on these combined financial statements based on our audit. 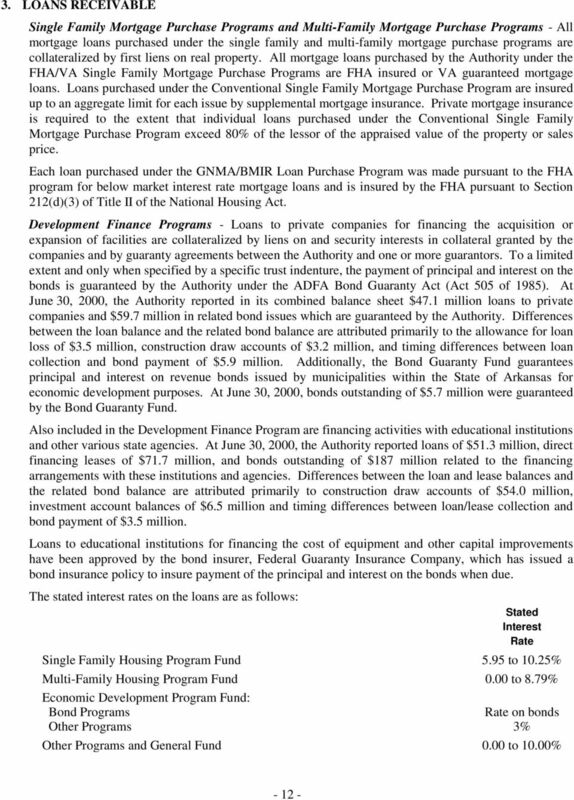 We conducted our audit in accordance with auditing standards generally accepted in the United States of America and the standards applicable to financial audits contained in Government Auditing Standards issued by the Comptroller General of the United States. 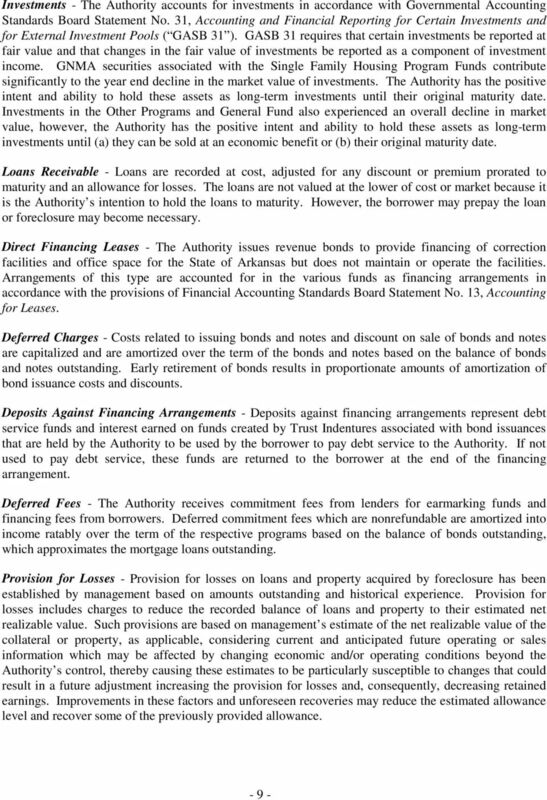 Those standards require that we plan and perform the audit to obtain reasonable assurance about whether the financial statements are free of material misstatement. 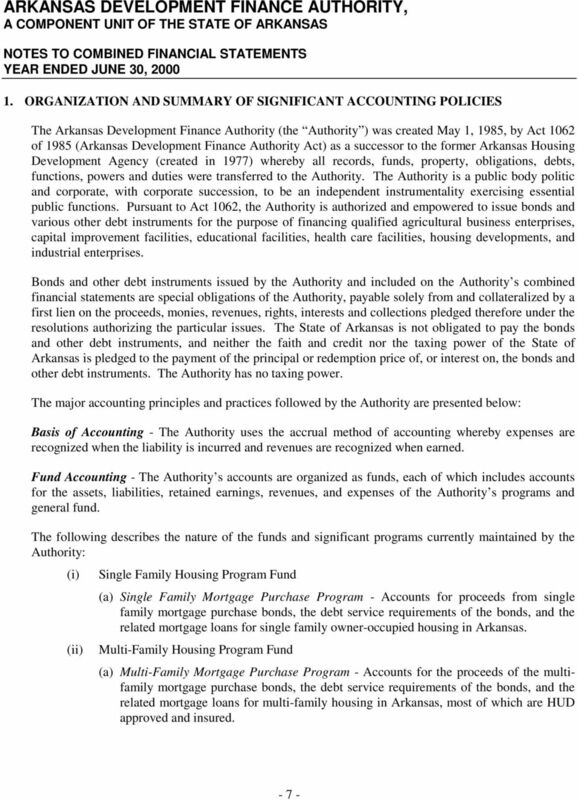 An audit includes examining, on a test basis, evidence supporting the amounts and disclosures in the financial statements. 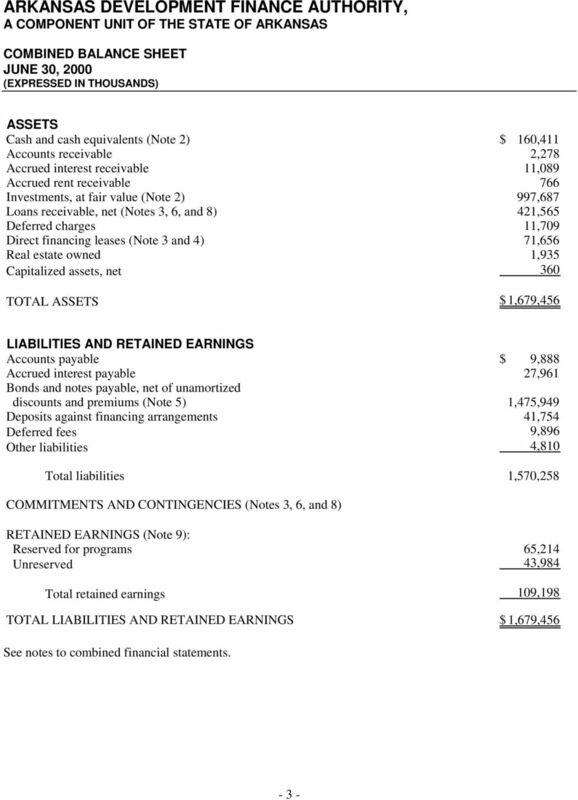 An audit also includes assessing the accounting principles used and significant estimates made by management, as well as evaluating the overall financial statement presentation. 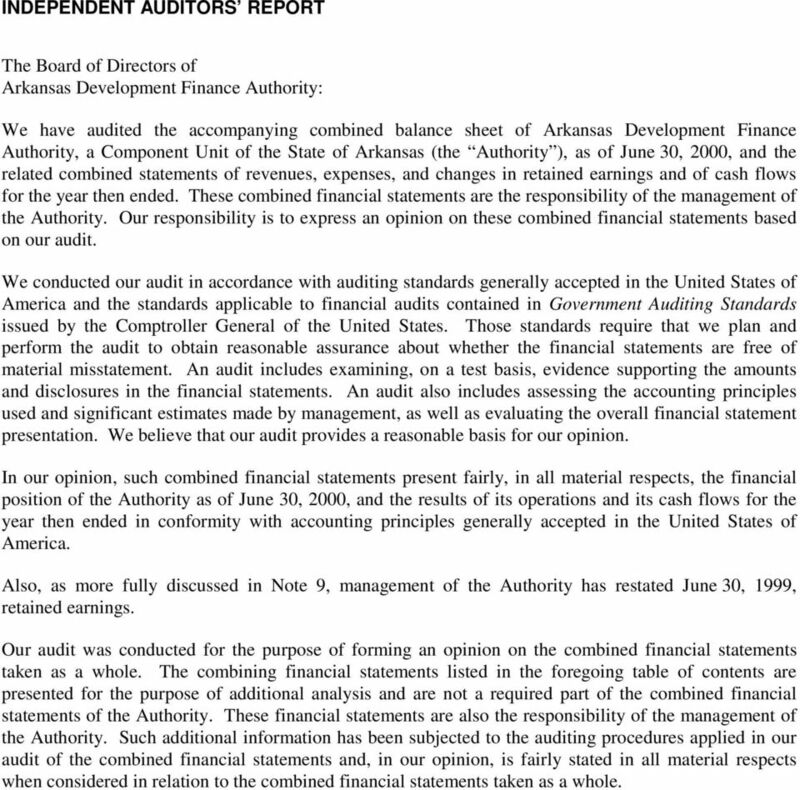 We believe that our audit provides a reasonable basis for our opinion. 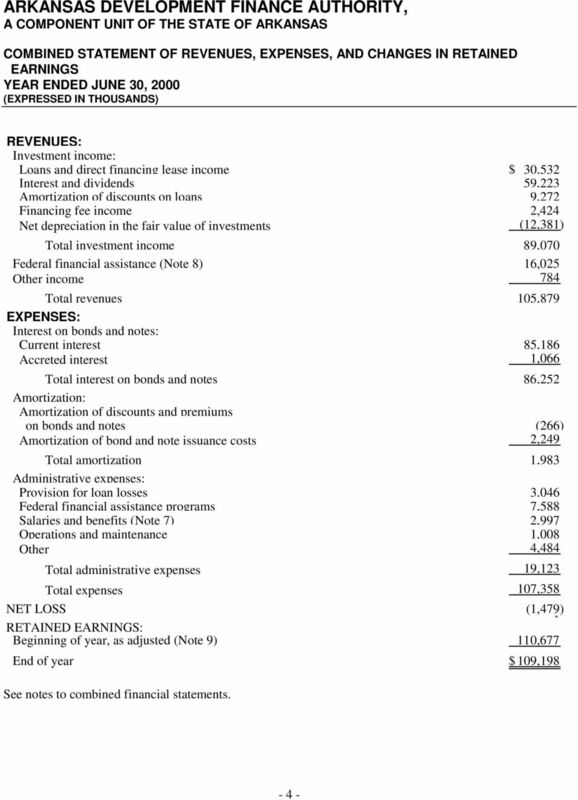 In our opinion, such combined financial statements present fairly, in all material respects, the financial position of the Authority as of June 30, 2000, and the results of its operations and its cash flows for the year then ended in conformity with accounting principles generally accepted in the United States of America. 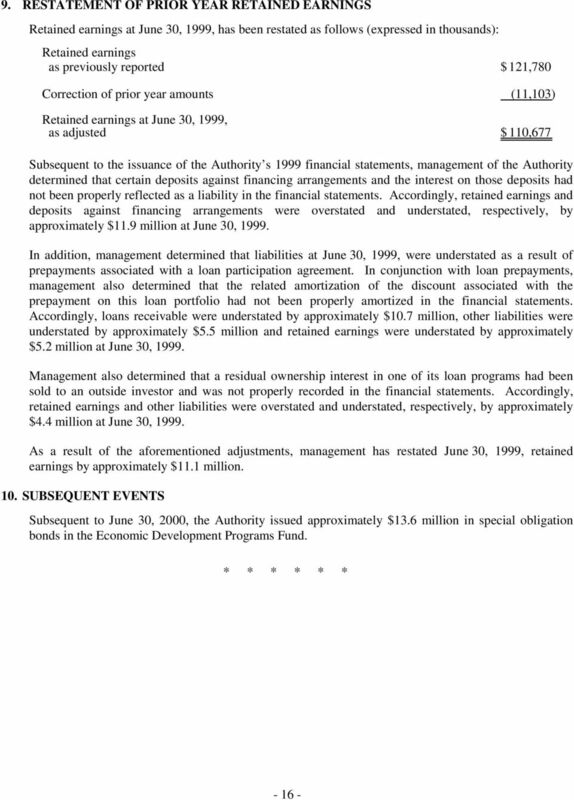 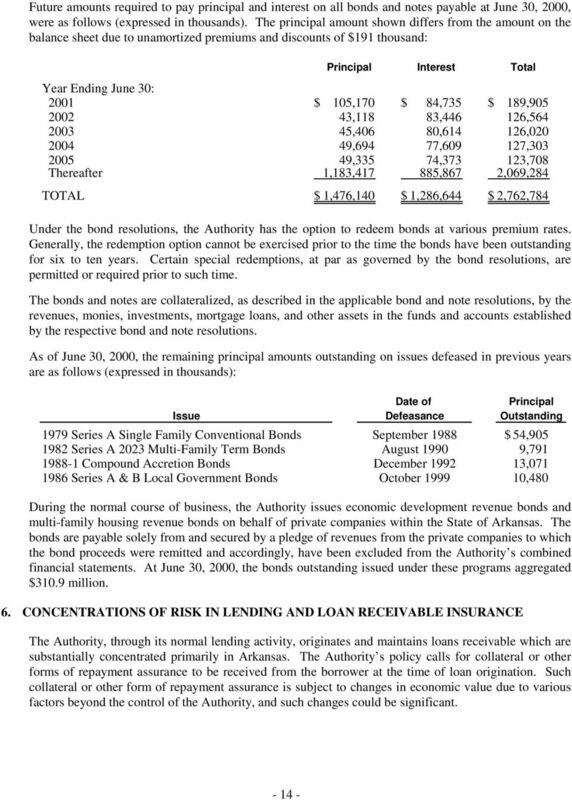 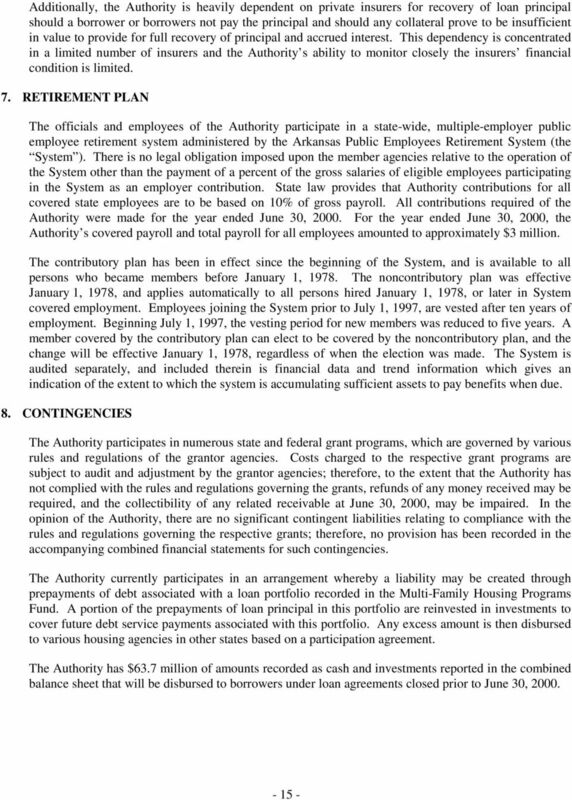 Also, as more fully discussed in Note 9, management of the Authority has restated June 30, 1999, retained earnings. 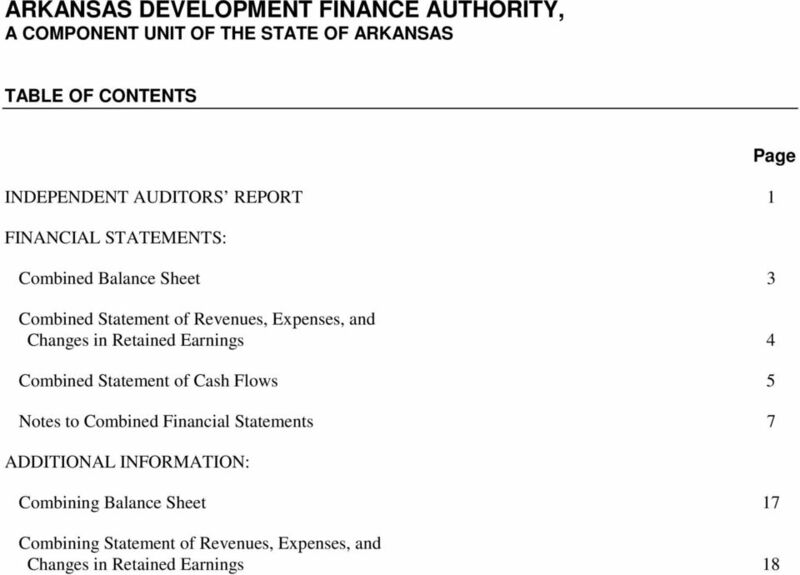 Our audit was conducted for the purpose of forming an opinion on the combined financial statements taken as a whole. 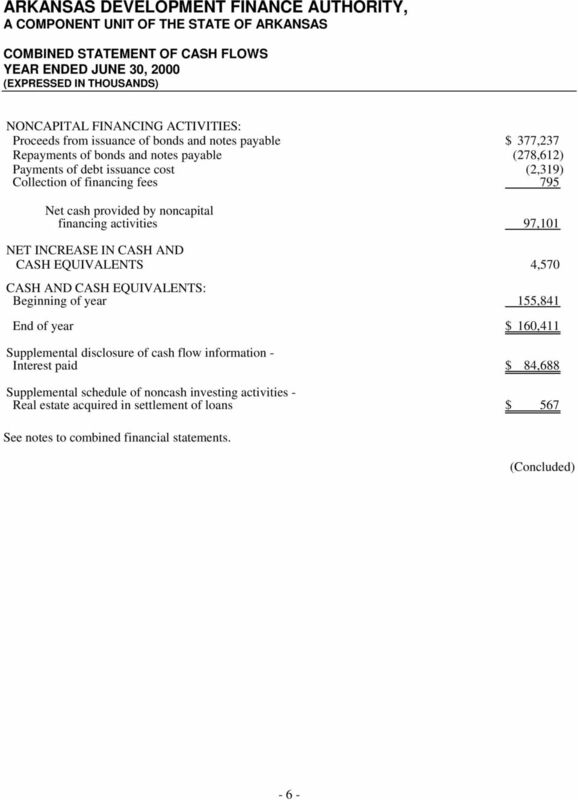 The combining financial statements listed in the foregoing table of contents are presented for the purpose of additional analysis and are not a required part of the combined financial statements of the Authority. 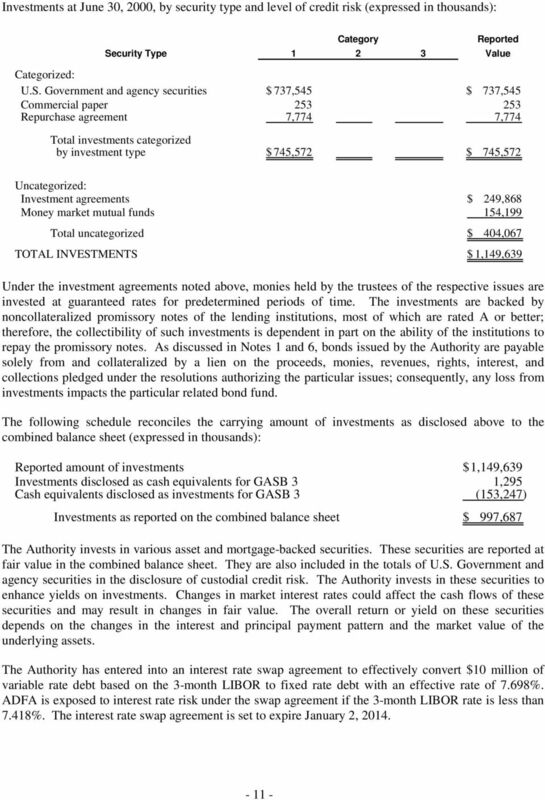 These financial statements are also the responsibility of the management of the Authority. 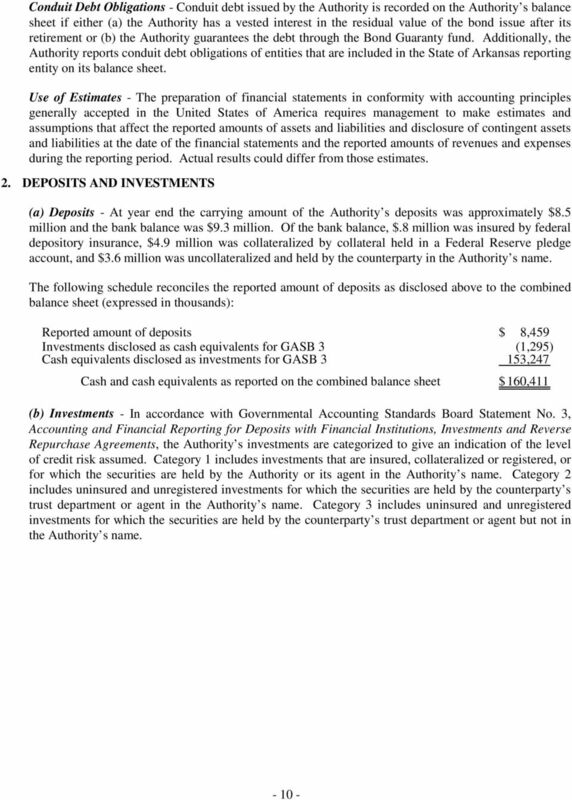 Such additional information has been subjected to the auditing procedures applied in our audit of the combined financial statements and, in our opinion, is fairly stated in all material respects when considered in relation to the combined financial statements taken as a whole. 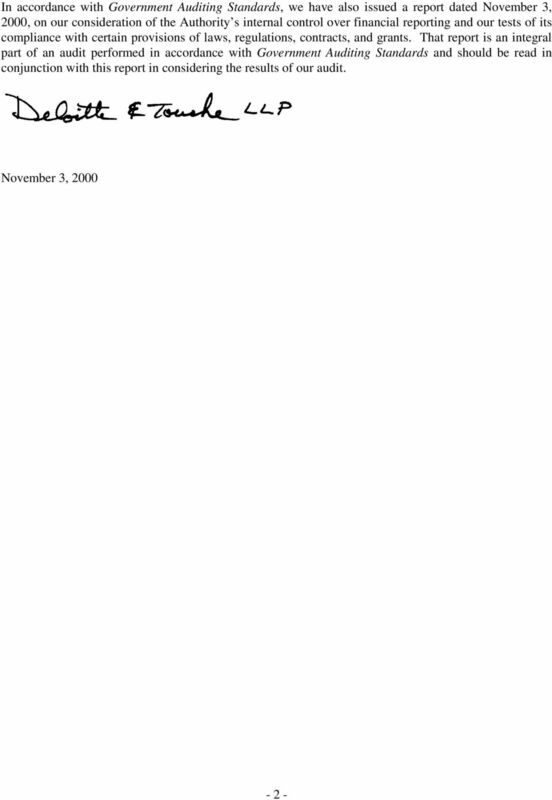 CONNEXUS ENERGY. 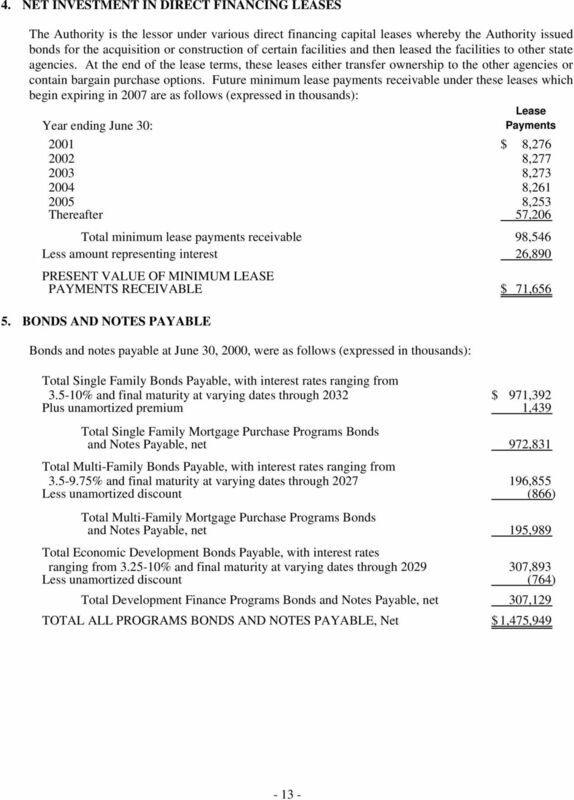 Financial statements as of and for the Years Ended December 31, 2010 and 2009, and Independent Auditors Report. 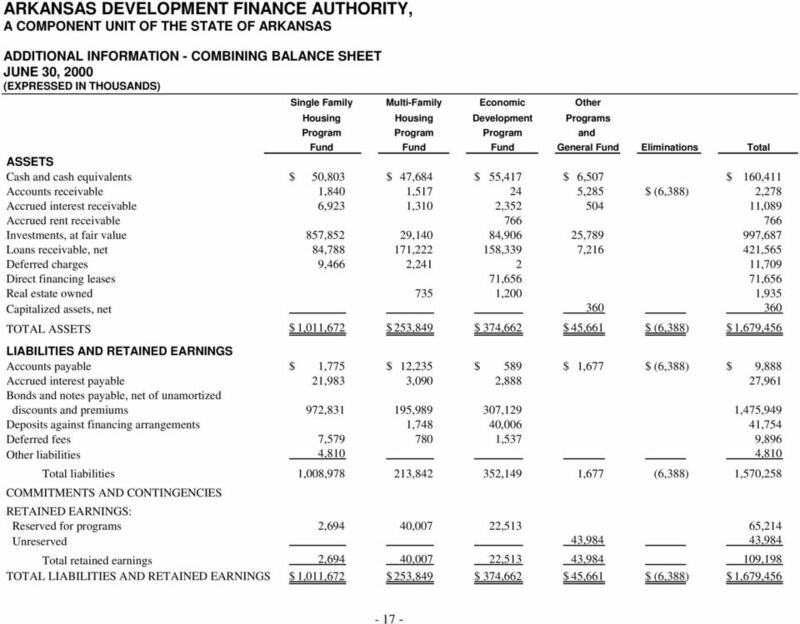 THE SOUTH FLORIDA CHURCH OF CHRIST, INC.